This paper presents the cross saturation effect on a specially designed spoke type permanent magnet synchronous motor (PMSM) for the sensorless vector control. The cross saturation effect becomes very important where the sensorless control algorithm is used. Accurate flux linkage modeling is required to obtain a satisfactory position estimation and eventually minimum induced torque error. The magnetic saturation is the most impacting parameters affecting the position error. Since the Ld and Lq inductance difference is generally less than 5% in the spoke type PMSM, the accurate estimation of the cross saturation is critical for the sensorless vector control. In this paper, the designed PMSM has the Ld and Lq difference in 15% level even for the overload capacity. So it is even possible to operate the motor in the transient modes with the overload capacity by estimating right cross saturation effect with certain time limits. The mapping of the inductances and efficiency are obtained by using Finite element method and presented in the paper. Some experimental results are also given such as efficiency and power-speed variation at the constant torque. K. Kurihara, M.A. Rahman, “High-Efficiency Line-Start Interior Permanent-Magnet Synchronous Motors”, IEEE Transactions on Industrial Applications, Vol.40, No.3, 2004, pp.789-796. A. Rahideh, A. Rahideh, M. Karimi, A. Shakeri, M. Azadi, “High Performance Direct Torque Control of a PMSM Using Fuzzy Logic And Genetic Algorithm”, IEEE International Conference on Electric Machines & Drives, Antalya, TURKEY, 2007. J. Simanek, J. Novak, O. Cerny, R. Dolecek, “FOC and Flux Weakening for Traction Drive with Permanent Magnet Synchronous Motor”, Proceedings of IEEE International Symposium on Industrial Electronics, Cambridge, UK, 2008. E. Fuchs, E. Erdelyi “Nonlinear Theory of Turboalternators, Part II. Load Dependent Synchronous Reactances”, IEEE Transactions on Power Apparratus and Systems, Vol. 92, No.2, 1973, pp.592–599. M. Kamoun, M. Poloujadoff, “Experimental Study of The Effect of Saturation on The Steady State Operation of a Salient Pole Microalternator”, Electrical Machines and Power Systems, Vol.10, 1985, pp.325–334. K. Saleh, M. Sumner, “Sensorless Speed Control of Five-Phase PMSM Drives with Low Current Distortion”, Electrical Engineering, 2017, pp.1-18. B. Stumberger, G. Stumberger, D. Dolinar, A. Hamler, M. Trlep, “Evaluation of Saturation and Cross-Magnetization Effects in Interior Permanent-Magnet Synchronous Motor”, IEEE Transactions on Industrial Applications, Vol.39, No.5, 2003, pp.1264–1271. A.M. El-Serafi, A.S. Abdallah, M.K. El-Sherbiny, E. Badawy, “Experimental Study of The Saturation and the Cross-Magnetizing Phenomenon in Saturated Synchronous Machines”, IEEE Transactions on Energy Conversion, Vol.2, No.4, 1988, pp.815–823. E. Levi, V.A. Levi, “Impact of Dynamic Cross-Saturation on Accuracy of Saturated Synchronous Machine Models”, IEEE Transactions on Energy Conversion, Vol.15, No.2, 2000, pp.224–230. 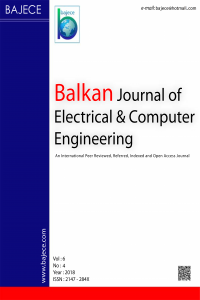 E. Oksuztepe, Z.Omac, H. Kurum, “Sensorless Vector Control Of PMSM With Non-Sinusoidal Flux Using Observer Based On FEM”, Electrical Engineering, Vol.96, No.3, September 2014, pp. 227-238.